It seems quite amazing to me at times how quickly America has taken CBD oil to its collective heart. It’s only been a few years since marijuana was regarded as a great social curse and discussing its positive benefits could land you in real social trouble. Today, everyone knows marijuana has medical upsides and more and more people are turning to CBD oil, a marijuana derivative that doesn’t get you high and is legal in most places around the world. In Tennessee, Blue Cross Blue Shield, which is the largest health insurer in the state, has said it will no longer cover the costs of oxycontin prescriptions. This is because they feel it is contributing to an ever-growing addiction problem in the state. Opioid addictions bring serious social problems and while the addict is no longer risking death, they are looking at a spiraling pattern of poor self-control and social ostracism. This change is being welcomed by the state’s CBD oil dealers. They say that they are seeing increasing queues of opioid addicts seeking a legal, non-addictive cure for their pain problems. One store owner says that he regularly has repeat customers break down in tears to express their joy at finally being able to contain their pain without being dependent on the cure. They expect this upward sales trend to continue as the state further cracks down in its local war on opioids. Vendors stress that CBD oil is and will remain legal in Tennessee and it must not be confused with medical marijuana which, for the moment, remains illegal and is not available for sale throughout the state. The evidence for CBD oil’s efficacy with pain keeps growing every day. If you haven’t tried it, yet, for your pain – you really should. CBD oil, we love it here at Pain Authority and so do many of our readers. But… many of our readers are also concerned about using CBD oil and wonder if they should talk to their physician about using CBD before they start? CBD oil is amazing, and it is important to remember that not only is it a bit of a modern wonder drug – it’s also completely legal. The only reason that doctors aren’t prescribing it is that it’s not yet undergone sufficient lab testing to gain FDA approval. Until then, the anecdotal evidence is very strong that CBD oil works wonders for, at least, some people. That means there are no risks to talking about your interests in CBD oil with your doctor. They’re not going to report you to the police or scold you; why would they? It’s natural for patients to take an interest in their health and their treatments. That’s a pretty good starting place, right? It allows your doctor to get perspective on what you are thinking about and to be able to offer their advice. They may well then go on to support your use of CBD oil and to offer you further advice. For example, they might suggest that in addition to starting CBD oil as part of your treatment regimen that you also spend some time with a specialist in the field in which you have a problem. This is very sensible. You shouldn’t see CBD oil as an alternative to treatment from a professional (except in the instance that the professionals no longer have any solutions to offer) but rather as a complementary therapy. If your doctor is vehemently against using CBD oil under any circumstances, you might want to seek a second opinion. It’s OK for your physician to be cautious and to try and keep expectations in check regarding what you might get from CBD oil but to be sneeringly cynical would suggest that they’re not keeping up to date with medical literature. We checked with our family physician and he concurred. He said that in his opinion if a physician reacts with hostility to any question for a patient – you should always take your question to another physician. CBD Oil around the world is a complex business. There is a growing consensus among the medical and scientific establishment that CBD oil is something of a miracle and it can tackle many severe medical issues, as well as helping to manage chronic pain. Unfortunately, because CBD oil is made from cannabis – its legal status around the world is something of a grey area. So, let’s head to a Land Down Under and examine how Australia is dealing with its CBD oil demand. CBD oil is a Schedule 4 drug in Australia. That means anywhere in the country, if you have a valid prescription for CBD oil, you may purchase it from a pharmacy and use it legally. However, there are many reported cases of CBD oil being seized by both police and customs in Australia – who seem to have interpreted the law differently from the medical establishment. This means that visitors are going to need to approach this with some caution. Recent news suggests that only 23 doctors have the right license to prescribe these products in the country and getting these prescriptions filled is something of a nightmare. It is worth noting that so far no-one has been arrested for importing or using hemp-based CBD oil products, such as those sold in the United States, but… this matter could change at any time. We don’t think it’s a good idea for foreigners to import or use CBD oil-based products in Australia at this moment in time. We think the legal situation is too murky and while Australian citizens may get an easy time if caught; we suspect other passport holders will not. Don’t take any risks for your CBD oil. It seems like every day CBD oil is connected to a new miracle. Today, we’re going to take a look at an interesting tale that has come out of the United Kingdom recently. Cheryl Haliburton is 27 and for the last four years she’s been suffering from severe eczema. Now, you may be thinking that normally eczema is just a bit of dry skin and, in general, you’d be right. But that’s normal eczema and not severe eczema. Eczema when it runs out of control is really unpleasant. It’s even nastier when it turns up on your face and neck in severe form. It leaves the sufferer with red, painful skin that cracks open and the wounds that it makes constantly weep. As you can imagine, this didn’t do a lot for Cheryl Halliburton’s confidence and she says that she had stopped going out completely. Cheryl’s eczema eventually became so bad that she was rushed to a hospital because she went into shock at the severity of the symptoms. Then somebody recommended CBD oil and within two weeks – the old Cheryl was back. The eczema was gone! She no longer gets flare-ups and this includes times when she eats things that used to aggravate the condition. So, does this mean that CBD oil will cure eczema? We don’t know. This is a single story which indicates that CBD oil has a positive effect in some cases of eczema. The only way to find out if it would help with your eczema is to try it or wait 20 years for a long-term study to be published. I wouldn’t wait if I were you. CBD oil is something completely different. It’s a natural remedy for a range of conditions that has something that makes it stand out completely from other “natural remedies”. What is it? Well, it appears to actually work. A lot of “natural remedies” are works of pure fantasy. Little to no medical evidence and for every positive anecdote you find declaiming the success of pushing garlic cloves up your nostrils to cure sinusitis – you find a dozen more explaining it just led to a hospital appointment. Yes! CBD oil is shown to help with insomnia. This is good news for many pain patients because insomnia can lead to tiredness and tiredness has been shown to make pain worse in many clinical studies. This can become a vicious cycle leading to more pain and less and less sleep over time. Break it by using CBD oil just before you go to bed. The best way to do this is to take CBD oil sublingually (under the tongue) use a few drops just before your head hits the pillow. This ensures that the CBD gets straight into the bloodstream and has a much faster effect than, for example, putting it into a drink would. You can use the sublingual method of CBD oil consumption if your pain is on the inside of your body but if you want to cut down on external aches there is a better solution – CBD oil-based creams. Now, some of these can be very expensive and others much cheaper but the important factor is not price but the presence of “CBD isolate”. 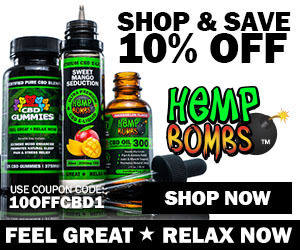 If it has “CBD isolate” as the main ingredient – you probably want to buy something else. You see CBD isolate when examined in even basic clinical trials doesn’t seem to have the same impact or pain-relieving qualities as regular CBD oil does in topical solution. So, when you buy CBD isolate – you’re risking buying a completely ineffective product. Given the costs of CBD, we don’t want something that doesn’t work, do we? If you’d rather make your own lotion – it’s easy to make. Buy good quality CBD oil and mix it into an unscented moisturizer. Apply as you like. If you don’t like the smell, feel free to add an essential oil (but only in very small quantities). Users say that this kind of topical solution can have dramatic effects on the pain of afflicted areas and it makes it much easier for you to get to sleep when you’re not in pain. Give CBD oil a try if you think you might benefit from it, the only thing you have to lose is some time. You could gain a life without pain. If you want to make a nice herby pasta, you can easily lose the taste of CBD oil in it. In fact, we found that oregano and cilantro could even mask the heady taste of unrefined CBD oil; that means it’s cheaper and easier to cook with. However, on the flip side, you will need to use a little more oil to get the desired effect. This was particularly yummy! This is the most obvious way to get CBD oil into your meals. Strangely, CBD oil has some emulsifying properties and you can use it as a thickener in many sauces. We also found it worked nicely in piquant and strong flavor salad dressings. At a pinch you can also mix it with your favorite hot sauce or BBQ sauce and you won’t notice its presence at all apart from the pain relief. I love smoothies. Whenever I need an energy hit, it’s the smoothie that I turn to and we found that smoothies are also an excellent way to mask the CBD oil. I found a nice banana and honey smoothie was well complemented by the herby taste of CBD oil and also that a strong vegetable taste such as broccoli could make the CBD tang disappear completely. Just don’t overdo it on the sugar when you make smoothies. Not to be confused with marijuana brownies, which are also quite popular I’m told, CBD oil brownies will take away your pain but they won’t leave you high or in fear of arrest for breaking drug laws. The strong chocolate of a good brownie will completely subsume that CBD oil taste. Don’t forget to reduce the amount of butter in your recipe by the amount of CBD oil you use – they’re both fats after all. Let’s be fair about this. A good curry is strong enough to overwhelm pretty much any other taste. So, if you really feel you can’t get rid of the taste of CBD oil; it’s time to fire up the tandoor and make a great rogan josh. Oddly, I also find that Thai curries do a particularly good job of sending that CBD oil taste packing. So, get the coconut milk in and start making curry! CBD oil is an effective pain reliever but there are people who just don’t like the taste. So, don’t start smoking it (we don’t really like smoking – though many people find it an effective way to consume CBD oil), start eating it in other tasty dishes instead. I hope that was helpful for you. My name is Olive and I run Kitchen Authority where we give kitchen hints and giveaway new kitchen items every day. Come and check us out at some point – I think you’ll enjoy it. Continue Reading about What Are The Most Common Uses For CBD Oil? Continue Reading about Is CBD Oil Legal In Canada?